P erfect symmetry. Unprecedented space. Unparalleled digital craftsmanship. The cockpit of the Speedtail is an extraordinary place to be. Innovation touches every element. Building a successor to the McLaren F1 supercar, which broke the speed record and wowed with its central seat layout and gold-lined engine bay, was never going to be easy. 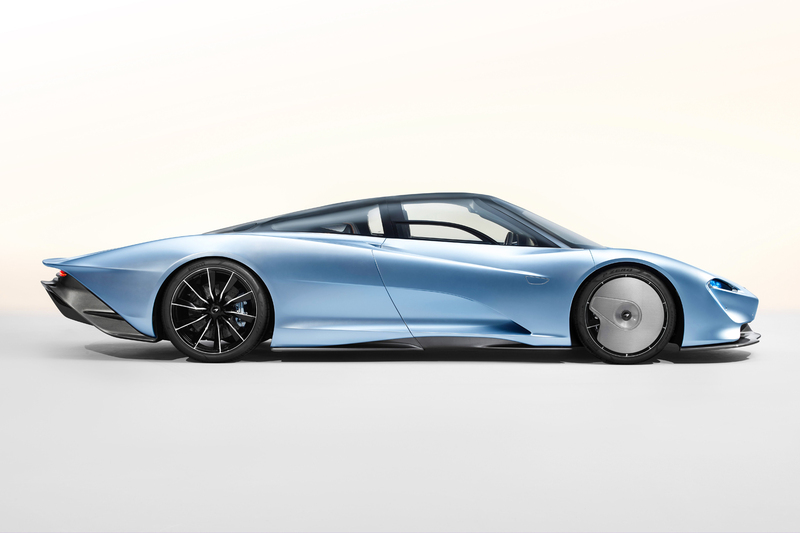 But then the McLaren Speedtail, dubbed a “Hyper-GT” (grand tourer) by the British marque is a monster. With a pioneering 1050PS hybrid powertrain at its core, it brings together unprecedented levels of innovation and elegance to create a new benchmark in automotive design. McLaren’s design mantra, everything for a reason, holds true through every last detail of the Speedtail. The design is one of pure, streamlined elegance. Born out of the single-minded vision to create the most aerodynamically efficient car ever, there is an uninterrupted flow of air from nose to tail. The dramatically elongated tail is as distinct in the automotive world as the Speedtail’s incredible velocity. This is minimalist elegance at its apex. All honed around extraordinary, ground-breaking, performance. From the materials design, to the very layout of the interior environment. The heart of the Speedtail’s interior is the driving seat, quite literally. Its central position recalls their very first road car, the iconic McLaren F1. It offers an unparalleled view of the road and helps to create a unique sense of space and balance behind the wheel, a feeling that is amplified by a stunning use of glass and the seamless, clean dashboard design. A modern driving experience, reimagined in a truly incredible way. Just 12.8 seconds. That’s all it takes for the Speedtail to reach 300km/h from a standing start. This is the fastest acceleration delivered by any McLaren to date. But the Speedtail is a car that pushes ever further. Keep on accelerating, and the car will reach its staggering top speed of 403km/h (250mph) – higher than any car they’ve ever created. The problem is that just 106 are being built, mirroring the production run of the F1, and all have sold for $2.25 million (US).